The image of Oberschleißheim is dominated by its three palaces. 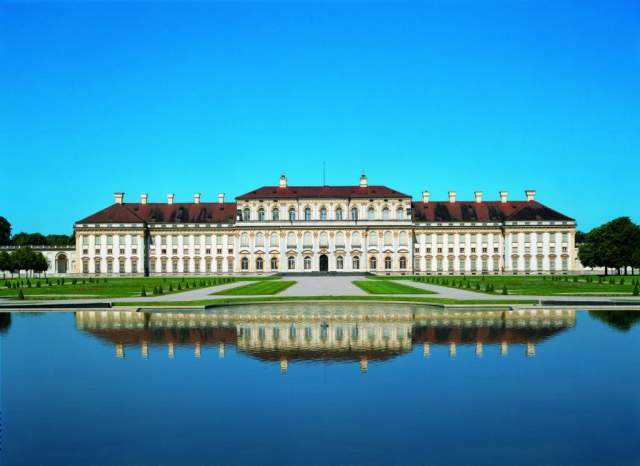 The Old and New Schleissheim Palaces together with Lustheim Palace are among those country manors and pleasure palaces that transformed from simple country estates into glorious princely residences as the House of Wittelsbach gained more and more power. It was Elector Max Emanuel in particular who wanted to realize his ambitious plans. Renowned architects and decorators, stucco masons and sculptors, painters and garden architects were summoned to Schleißheim. With ballrooms and private chambers, vestibules and staircases, paintings, stucco and furniture they created masterpieces of European rank. In the late 16th century, Duke Wilhelm V’s electoral summer residence was built. Maximilian I had the manor demolished and, from 1616 to 1628, replaced it with a new construction, which today is known as the Old Palace. Das Bild Oberschleißheims wird von seinen drei Schlössern geprägt. Altes und Neues Schloss Schleißheim sowie Schloss Lustheim gehören zu jenen kurfürstlichen Land- und Lustschlössern, die mit steigender Machtfülle der Wittelsbacher vom einfachen Herrenhaus zur fürstlichen Residenz aufblühten.